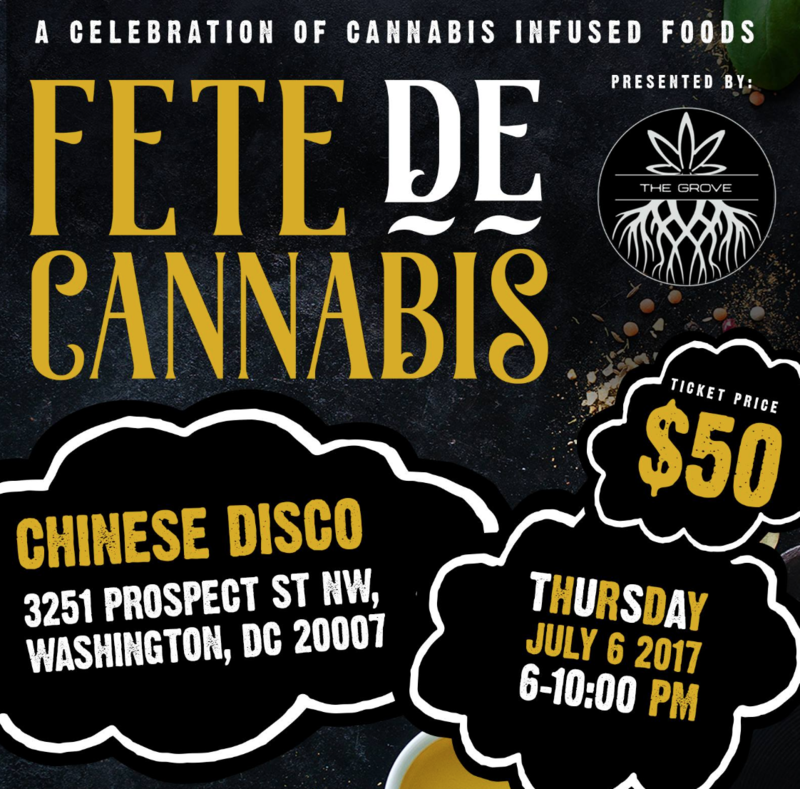 On July 6th, Your Grove invites you to indulge in a "lifted" culinary experience with Chef Matt Cockrell at Georgetown's newest event space, Chinese Disco. Just a sampling of the evening's menu includes *crab cake tots with an infused old bay aioli;*watermelon gazpacho with infused garlic oil;and non infused items such as crispy pork belly with charred fennel, chili rub venisonandbraised brisketnot to mention infused and non infused desserts and of course Your Grove's delicious teas. To top it off all guests can expect to take home Your Grove****swag that is definitely not schwag. Join like minded individuals for a sophisticated cannabis experience and a laid back evening of delectable cuisine, good music and great vibes. Tickets are non-refundable NO DC RESIDENT CARD NECESSARY NO MEDICAL CARD NECESSARY Your Grove is a tea company and does not sell edibles or cannabis. We do how ever donate edibles/ cannabis to our consumers when they purchase our hand blended teas. The Grove is changing the way people receive home services. Our platform allows customers to purcahse hand blended tea (with free cannabis gifts) delivered by friendly, background-checked drivers from local grow operations.